RaBu Diagnostic provides many varieties of drug and DNA testing. We also provide Employment Physicals to companies and employees throughout the USA. Our physicians are all certified by the National Registry of Certified Medical Examiners (NRCME) as is now required by the Department of Transportation and Department of Motor Vehicles. Our testing services are certified by the US Department of Transportation and can be used in legal cases regarding employment, court cases, or whatever need you may have for testing. Our professional services are easily accessible and fully compliant with most company policies and procedures. To take part in our services, explore our site and learn why RaBu Diagnostic is the best choice for your testing needs. 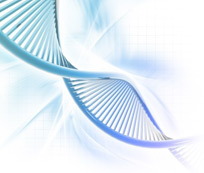 RaBu Diagnostic Testing provides DNA Testing, Heritage, Ancestry and Alternate Specimen Testing. RaBu Diagnostic provides Physicals for companies and employees.